Tonight, we were fortunate enough to be invited to the VIP preview of Adelaide’s first gourmet bubble tea store, Tea Degrees. Their beautiful décor and convivial staff were the cherry on top of a pleasant evening filled with delectable samples of milk teas, fruit teas, and gourmet teas. Each drink proved to be just as delicious as the last, and when it came time to leave, we were already planning our return. Keep reading to get a taste of what they have to offer! 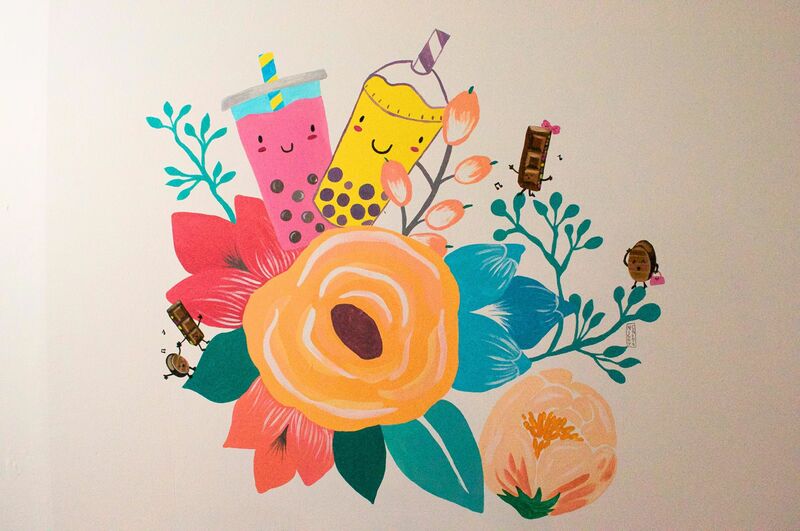 Featuring colourful wall art from Nicky Create, the store is vibrant and welcoming, providing the perfect environment for you to relax and enjoy one of their moreish drinks. We sampled our way through the menu, starting with a gourmet salted caramel milk tea (our personal favourite) and ending with a refreshing peach fruit tea. 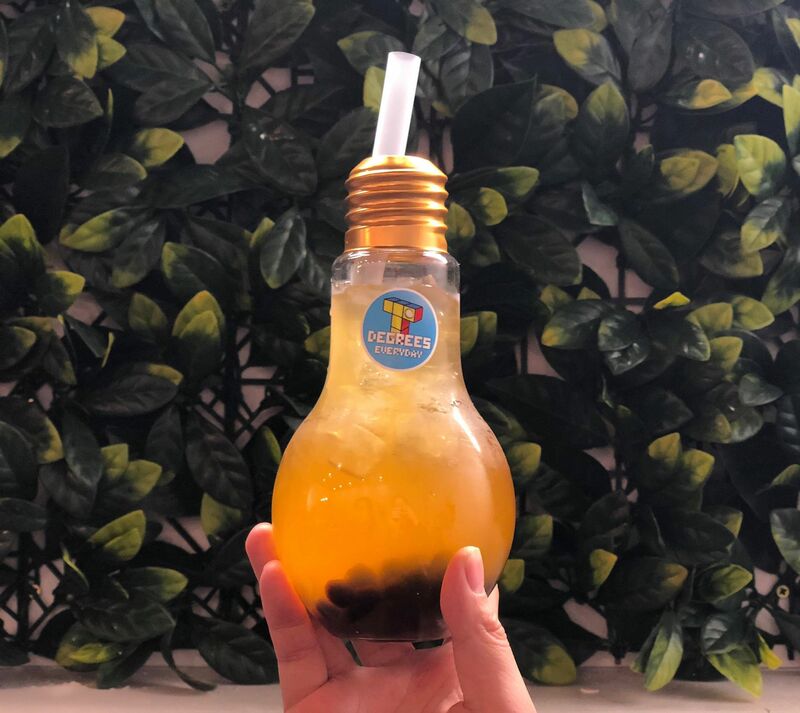 Some other noteworthy options include the strawberry fruit tea, papaya milk tea, and gourmet coffee milk tea, which is made using cold filter coffee from Elementary Coffee Roasters in Adelaide. At Tea Degrees, there is a flavour for everyone; the Rocky Road and Deluxe Dark Chocolate milk teas featured in their gourmet range both have vegan-friendly alternatives! Additionally, if you’re seeking some extra nutrition or a delicious post-workout drink, Tea Degrees also offers chocolate and vanilla bubble teas with whey protein. If you’re a fan of bubble tea, then head down to the store this weekend; Tea Degrees is giving out 100 free fruit teas on Friday the 3rd of August, in addition to offering a special 2 for 1 deal both this Friday and Saturday! And if that wasn’t enough to convince you, they’re also giving customers the chance to win a year’s supply of bubble tea. Don’t miss out on this delectable deal!